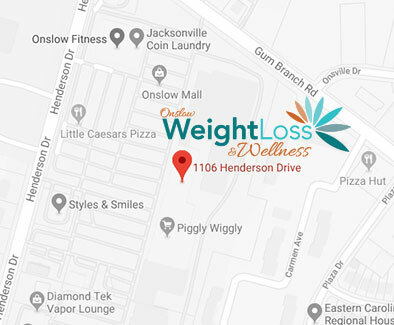 Welcome to the premier weight loss center in Jacksonville, NC. We’re certified coaches and providers of the highly effective 20/30 Fast Track program (lose 20 pounds in 30 days). Along with weight control, the 20/30 Fast Track Weight Loss Program will also help you control diabetes, blood pressure, cholesterol, gut health, headaches, migraines, mood, energy, insomnia and more! As a fully certified weight loss center, we also offer the extended lifestyle program called Listen to Your Body. Membership to this program will provide you with expert insight on the 7 hormones that are preventing you from losing weight and keeping it off. We’re more than just a weight loss center — we’re your coaching partner helping you to begin a healthier, more enjoyable lifestyle.